We’ve moved on from the days when Android Oreo was a luxury only a handful of us enjoyed. We’ve given Samsung enough slack for their sluggish rollout of the latest major Android version, but they’ve finally caught up. As of now, all of the eligible flagship devices have received Android 8.0, while we’re still wondering if Samsung ever had the intention of bringing it to the Galaxy S6 and S6 Edge. Either way, other Android OEMs have caught up as well, while some like Essential may have the future of their existence in question. Either way, it continues to push on with the latest software updates, so does OnePlus, by updating every single device in their arsenal this week. From Android Oreo updates out for mid-range devices like the Honor 7X, to minor updates for mummified phones like the BlackBerry Priv, here’s everything going on this week in the world of Android firmware updates. Galaxy S7 and S7 Edge receive Android Oreo update in South Korea. Galaxy S9 and S9+ receive May security patch with the latest update. May security update out for Galaxy Note 8 with the latest update. Galaxy A8, Galaxy A6, Galaxy A7 2017, and Galaxy J4 also receive the latest May security update. Moto Z Play begins receiving Android 8.0 Oreo in the United States. Moto X4 receives an update in India with an older April security patch. First software update for Moto G6 Plus with the security patch from April now out. OxygenOS 5.1.5 update for OnePlus 6 takes away the Always On Display feature. OnePlus 5 and 5T now being updated to OxygenOS 5.1.2 with multiple fixes. OxygenOS 5.0.3 update for OnePlus 3 and 3T brings Face Unlock and more. Essential Phone Android P beta receives an update with fixes and new features. MIUI 9.5.6 ROM for Redmi Note 5 Pro bumps it up directly to Android 8.1 Oreo. MIUI 10 announced with Mi 8 and multiple current premium Xiaomi devices. Honor 7X in India updated to EMUI 8.0 with Android Oreo. Staying at the top of the table hasn’t been easy for Samsung, especially with their track record with updates. The South Korean tech giant is still going strong among Android OEMs, now that most of the premium devices are up to speed with the latest Android version. While last week was a cyclone of Android 8.0 Oreo coming out of the Samsung camp, this week is calmer. While the Galaxy S7 and S7 Edge began receiving Android Oreo almost two weeks ago, not everyone received it. Surprisingly, the home country of Samsung is essentially one of the last major markets to receive the Oreo update. After testing out the firmware update in the European region first, the Android 8.0 update for the 2016 flagships is now out in South Korea. Carrying the build number KLU1ERE8 and the security update from April, the OTA update is being pushed out in stages. While the month of June may be already knocking the door, Samsung is still playing catch up with the update cycle. The flagship devices of 2018, the Galaxy S9 and S9+ are now finally receiving the May security patch in the latest update. The OTA update carries the new build number G960FXXU1BRE5 for the Galaxy S9 and G965FXXU1BRE5 for the Galaxy S9+. While including 6 critical Android vulnerabilities, the update also patches 7 Samsung-specific exploits as well. But the flagship devices aren’t the only ones to receive the almost month-old May security update this week. The Galaxy A7 2017 edition received the update this week in India carrying the build number A720FXXU3CRE3. The same May security update is out for the Galaxy J4 in Saudi Arabia and Ukraine with firmware version J400FXXU1ARE8. Additionally, the update is also out for the Galaxy A8 with build number A530FXXU2ARE1 and Galaxy A6 with build number A600FNXXU1ARE7. In the meantime, a significantly large (700MB) software update is out for the Galaxy Note 8 as well, but it doesn’t seem to bring anything apart from the May security level bump. We’ve been more than impressed with how Lenovo has kept Motorola as a separate entity in regard to mobile devices. While the Moto Z series may not be as impactful as it once was, the dream is alive and kicking, with the Oreo update reviving it. Last week we reported that Android 8.0 update for Moto Z landing in the United States. Well, this week the Oreo update is making its way to the Moto Z Play variant across the U.S. The latest software update carrying build number OPN27.76-12-22 bring the latest flavor of Oreo along with the April security patch. 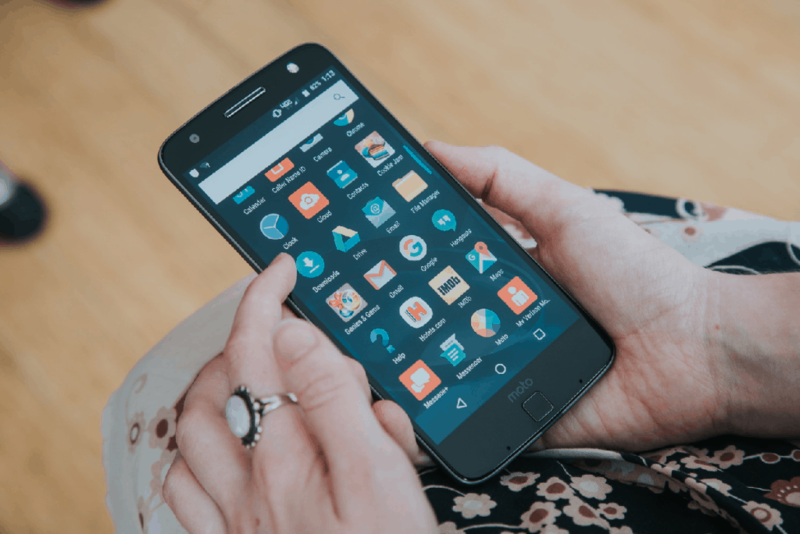 Additionally, the Android One powered Moto X4 in India is also receiving a regulatory security software update this week. Surprisingly enough, the update brings a security patch from April, with the new build number OPWS27.2.2 and nothing more. For those of you who expected Pixel-like software support from an Android One branded device, Moto X sure is still playing catch-up. The newly released Moto G6 Plus, on the other hand, is already receiving its first software update with build number OPW27.113-45. The update that is currently out for users in Brazil also comes with the older April security patch. For a smartphone manufacturer that releases only two devices each year, OnePlus can surely be appreciated for ending up on our weekly software update roundups almost every time. The software support team at the Chinese company seems to be hard at work this week, as each of the current OnePlus devices is receiving a software update. Starting off with the OnePlus 3 and 3T, the flagship devices from 2016 were one of the first Android OEM branded devices to receive the Oreo update. This week, the OxygenOS 5.0.3 update brings not just the latest May security update, but some brand new features too. Users can now enjoy the Face Unlock feature that was released with the OnePlus 5T last year, new UI design for the Shelf, added shortcuts menu options and more. The second in line was the OnePlus 5 and 5T, which received the OxygenOS 5.1.2 update this week as well. Once again, users get the latest security patch from May with the update, along with a fix for the auto-rotation bug. Additionally, new improvements have been made in the Gallery app with location map view and “Recently Deleted” sections, along with a fix for Wi-Fi connection issues and more. The OnePlus 6 is also receiving this week in the form of OxygenOS 5.1.5 update, but it’s a bummer. While the software update only seemed to bring software stability and bug fixes at first, it apparently takes away the Always On Display feature. 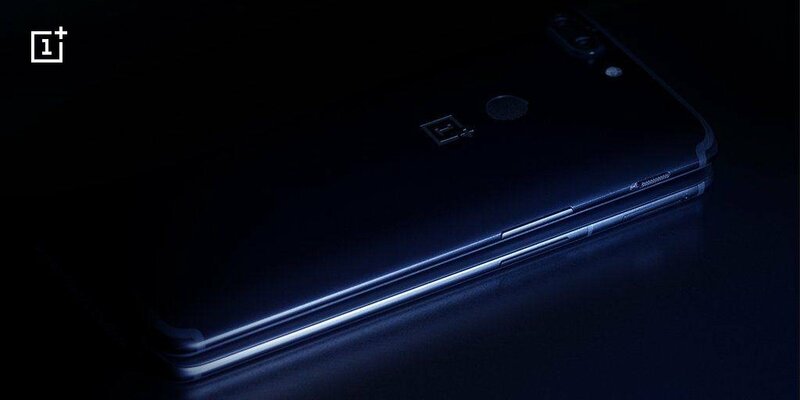 After being grilled, OnePlus officially is addressing the issue by stating that the feature was removed due to “battery-saving concern”. Although we hope that the concern would be left to the users to decide, it seems OnePlus now decides that for you. Back when Essential was announced and the Android co-founder Andy Rubin unveiled the Essential Phone, it seemed like the iPhone moment for Android. However, not all kinds of success can be replicated, and it certainly won’t be for Essential. For the news going around, it seems like the Essential Phone PH-1 is going to be the first and the last of its kind, as the company itself is in jeopardy. There are even rumors that Essential still might release a device this year. But it’ll more likely be a smart speaker than a smartphone. Either way, the company is not abandoning the people who bought into it, by keeping software support alive. The latest update for the Essential Phone is towards the Android P beta version, bringing a bunch of bug fixes and optimizations, alongside some new features too. The update version PPR.180412.090 brings Dark Mode fix, Bluetooth and Cellular connectivity fixes and more. This Chinese company is among the Android OEM brands that handle software updates differently than most do. 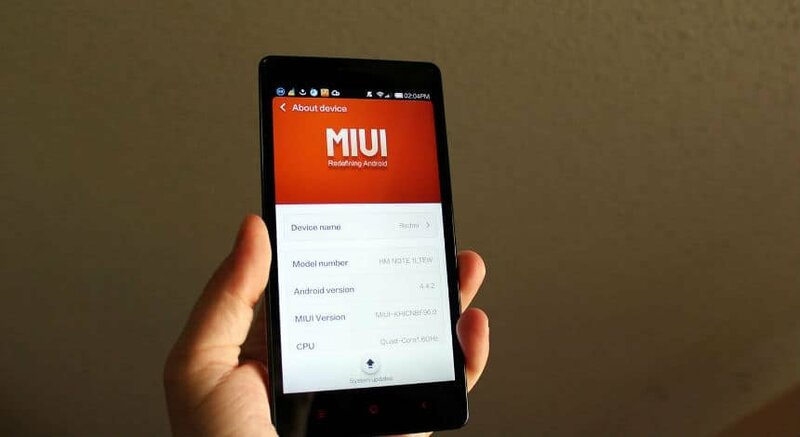 Rather than release major Android updates as is, Xiaomi bakes it into different versions of the MIUI ROM. For the Xiaomi Redmi Note 5 Pro, the Android 8.1 Oreo update is already here in the form of MIUI 9.5.6 update. But while the MIUI 9.5 Global Stable ROM is barely in circulation yet, Xiaomi is pushing forward full steam ahead. Based on sources out of China, Xiaomi is preparing for the release of MIUI 10 with the Mi 8. However, a closed beta testing program for MIUI 10 is already open for registration for major devices. Redmi Note 5, Mi Mix, Mi Mix 2, Mi Mix 2S, and Mi 6 are the ones included. If you own one of the above devices, you can enroll right now using a WeChat account and register. 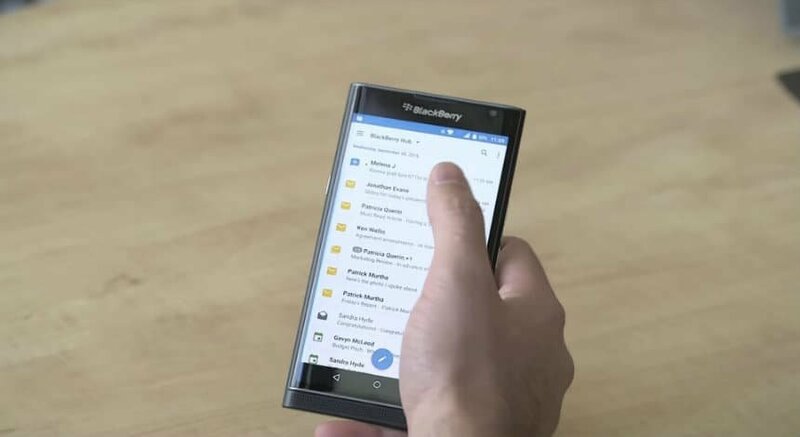 There was a time when mobile phones were clouded by the BlackBerry brand. Nonetheless, the Canadian company keeps its loyal followers happy by pushing out monthly security updates for current devices. For this week, the BlackBerry Motion and KEYone are the recipients of the May security update, carrying the new firmware number AAY818 from the Canadian network carrier Bell. Back in the United States, Verizon is resurrecting the three-year-old BlackBerry Priv with a software update this week. While still being on Android 6.0 , the update with build number AAV985 brings the October 2017 security patch. This is significant since it finally patches the Spectre and Meltdown flaws that plagued millions of Android devices last year. The Chinese tech giant may have been designing great smartphones for years. But has only recently started building software that lives up to the expectations. 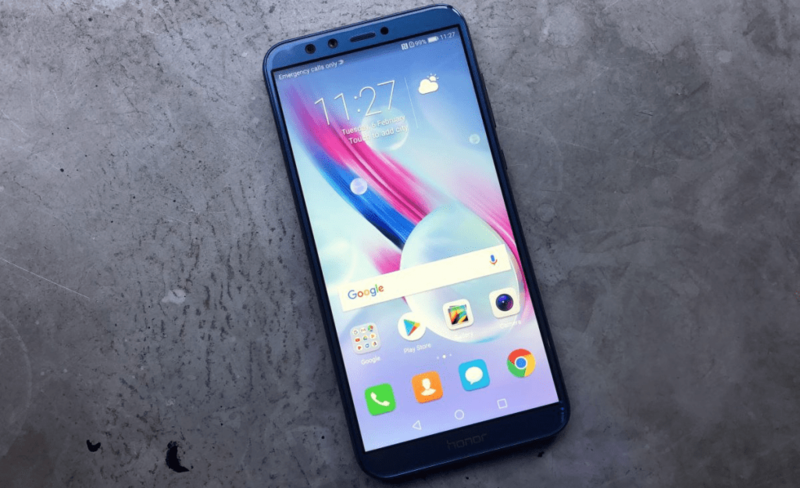 The Honor series has helped Huawei establish a lineup of affordable and powerful devices, including the Honor 7X. This week, users in India were finally greeted with the highly awaited Android Oreo powered EMUI 8.0 update. The device not only getting the features of Oreo included by Google, but a few extras too. The Settings menu is now redesigned, floating navigation dock, and VoLTE capabilities are included too. That’s all we’ve got for this week’s edition of the Updato Android firmware update roundup. Be sure to bump up your eligible devices to the latest version. Do you own an Android device that was recently updated? Let other users to know as well and do mention it in the comments section down below.